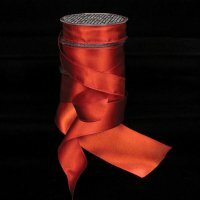 Double Face Satin with Wired Edge is the most elegant ribbon in the industry today! This ribbon will add a touch of class to your next creation. It's perfect for those discriminating brides. 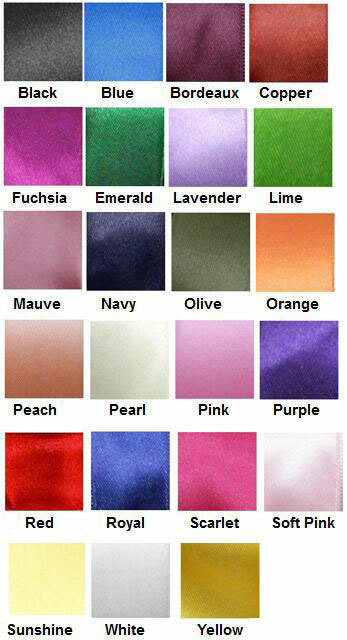 An extensive color selection is available to meet the needs of the bridal, design and custom packaging markets. Width: 1", 1 5/8", 2 3/4"
....Please select Black Blue Bordeaux Copper Fuchsia Emerald Lime Lavender Mauve Navy Olive Orange Peach Pearl Pink Purple Red Royal Scarlet Soft Pink Sunshine White Yellow .